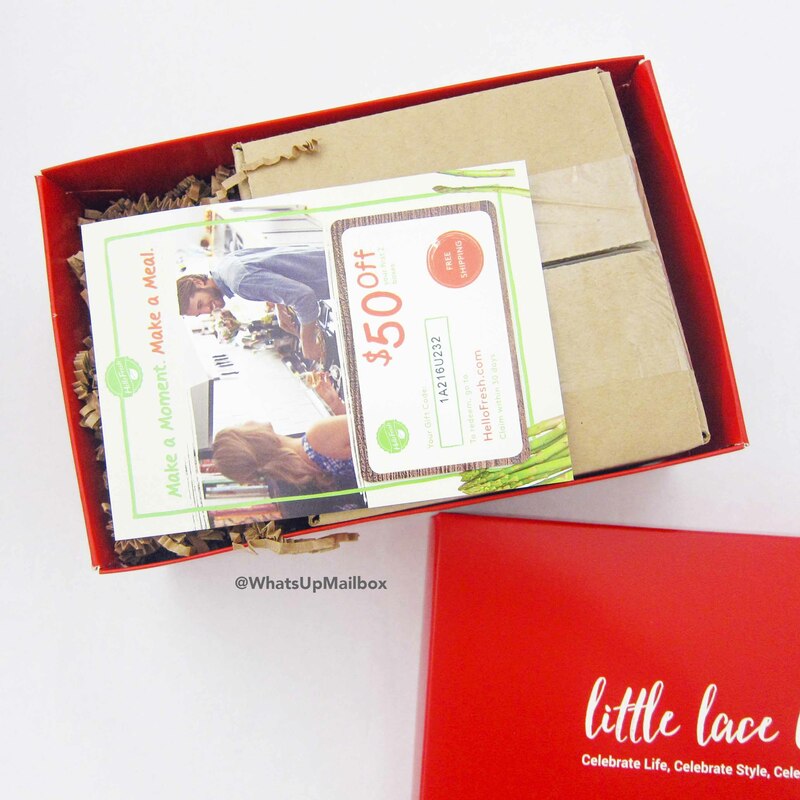 Little Lace Box August 2016 Review + Coupon! 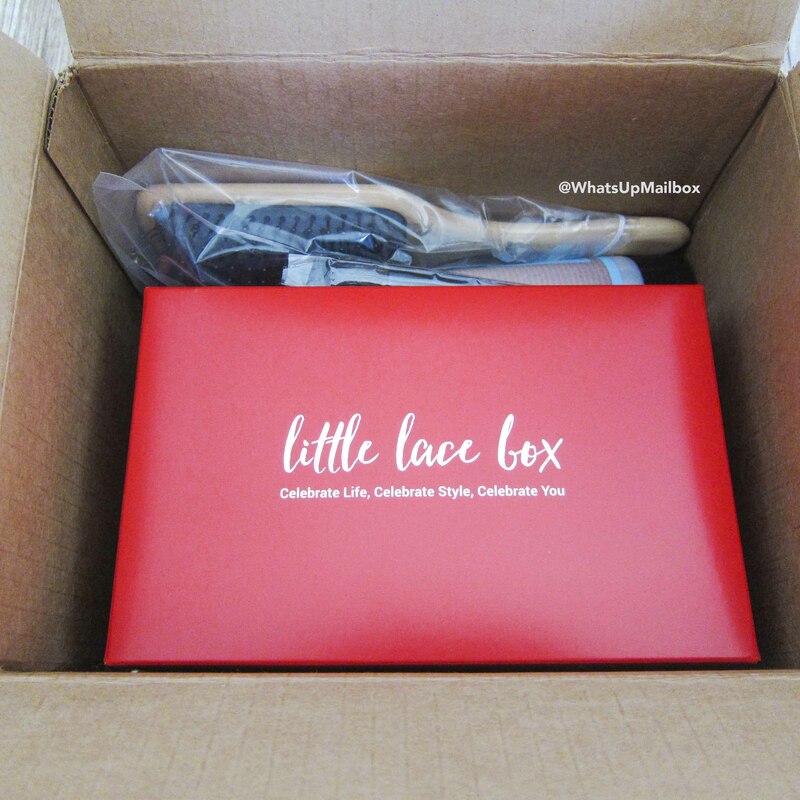 What’s in the box: Little Lace Box is a subscription lifestyle box for women who know they’re worth it. 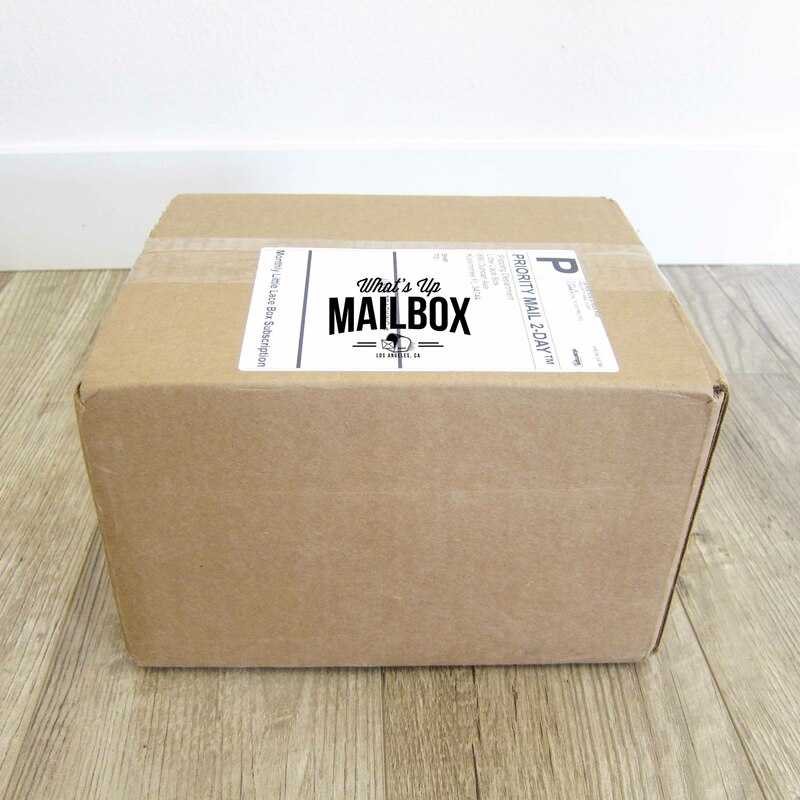 Each box will be filled with high quality items from unique or designer brands that range from beauty, jewelry, accessories, home products and more! $20 off a Twelve Month Box!  Little Lace Box (LLB) ships through USPS Priority Mail 2-day and they always email you the tracking number as soon as your box is shipped, AND they also send a text to your cellphone when the box is out for delivery. I find that so very helpful! They send out their boxes inside a brown unmarked box. First look at unboxing and you immediately see their info pamphlet. Under the info pamphlet you finally see the items. And under that you finally see the actual Little Lace Box as well as other items that did not fit inside the actual box! Upon opening the actual Little Lace Box, you see a coupon from Hello Fresh, and another box packaging. Inside the pamphlet you’ll find the list of items that were included in this month’s box as well as a short description of what they are and their values. 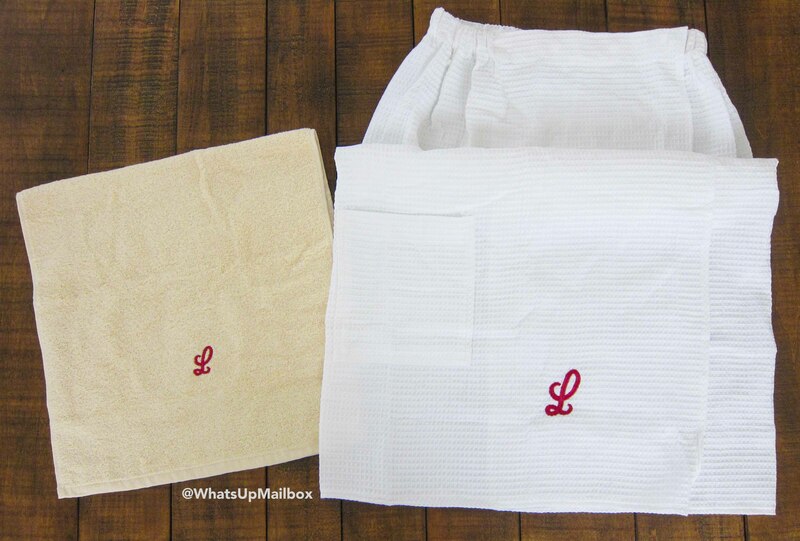 Subscribers would received both items in either Ecru or White. I see that some received all white, or all Ecru, but I’m super happy that I received the hand towel in Ecru and the spa wrap in white! Hand towels can get dirty pretty easily so with the Ecru color, this should last me quite a long time. And the spa wrap in white, well that’s just classic spa attire! The hand towel is nice and soft, and it’s quite large in size too. I’m already hanging this on my side of the sink. The spa wrap was also quite big in size so it didn’t really quite fit the picture. The top side is elastic so it can fit pretty much any size, it has a pocket (super convenient), and you wrap it and secure the wrap with snap-in buttons. What an awesome item to include in a box! 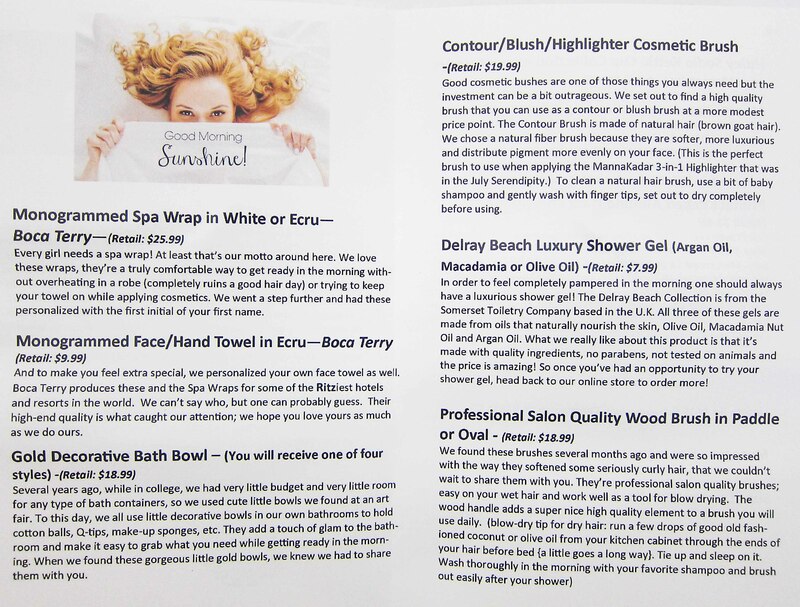 I can definitely use this when I’m having a spa day at my jacuzzi or for getting ready in the morning, love it! 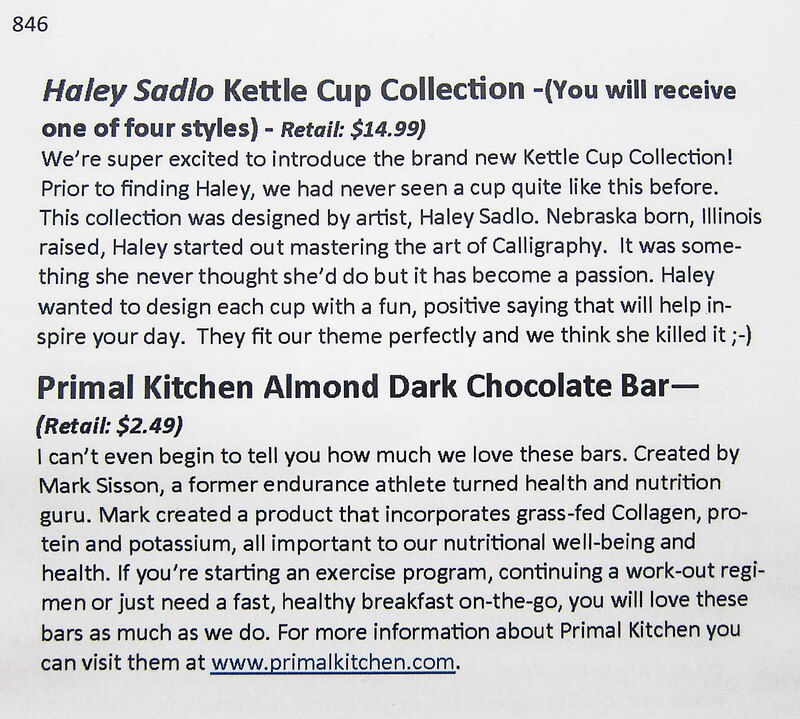 Subscribers received this cup in four different variations of text and color. Based on a few social media pics, I’ve seen a red color, green, white and dark blue. 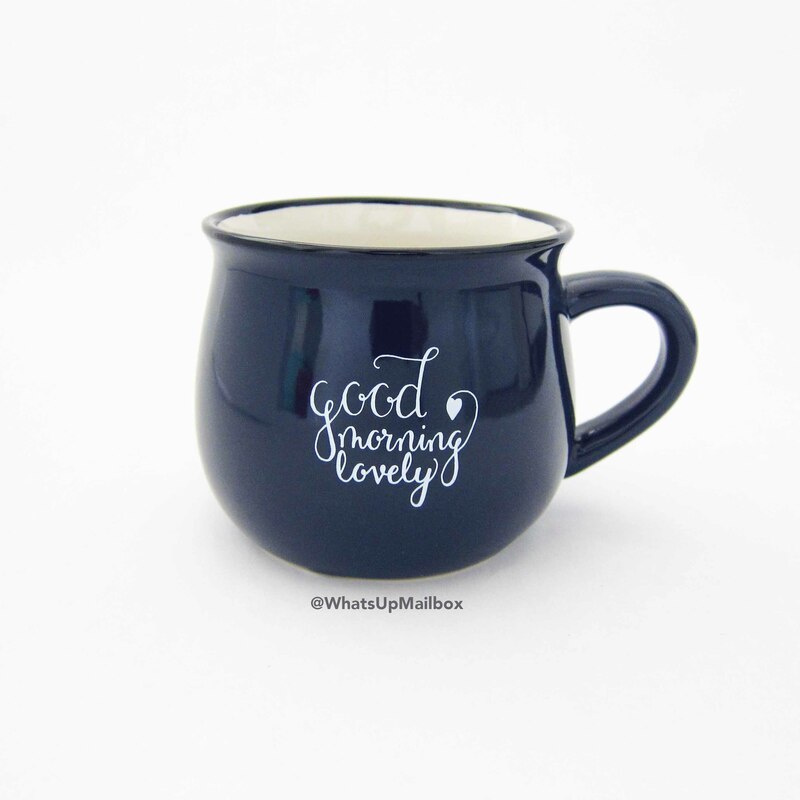 Mine is the dark blue with “Good Morning Lovely” printed on it and although I probably would have preferred the white version, this would be my second choice so I’m happy with that. The cup itself is quite large in size and I like that the lip has a curve. It makes the liquids less likely to drip and spill when drinking. 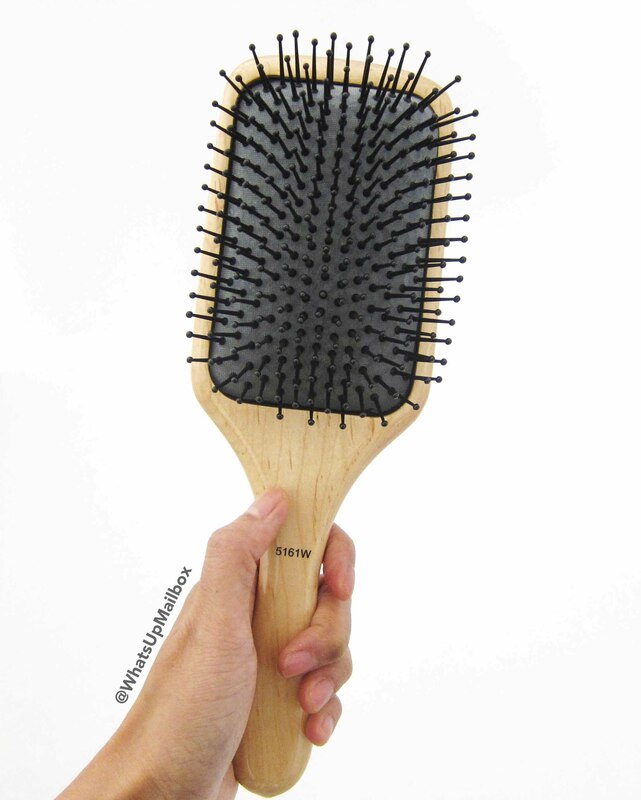 Woohoo, I needed a new paddle brush and I’m loving the size of this one! 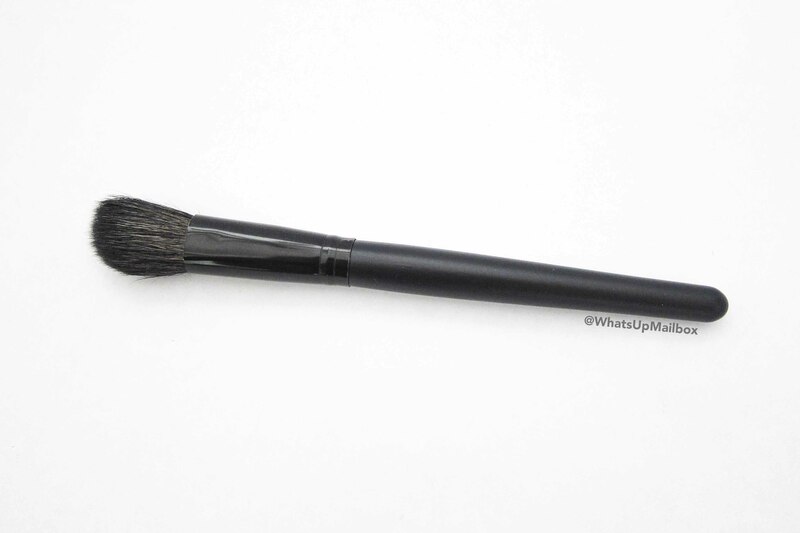 Subscribers will received either this paddle version or an oval version of this brush. I actually don’t have a preference since they both work well on my hair. As you can see, it’s quite large. 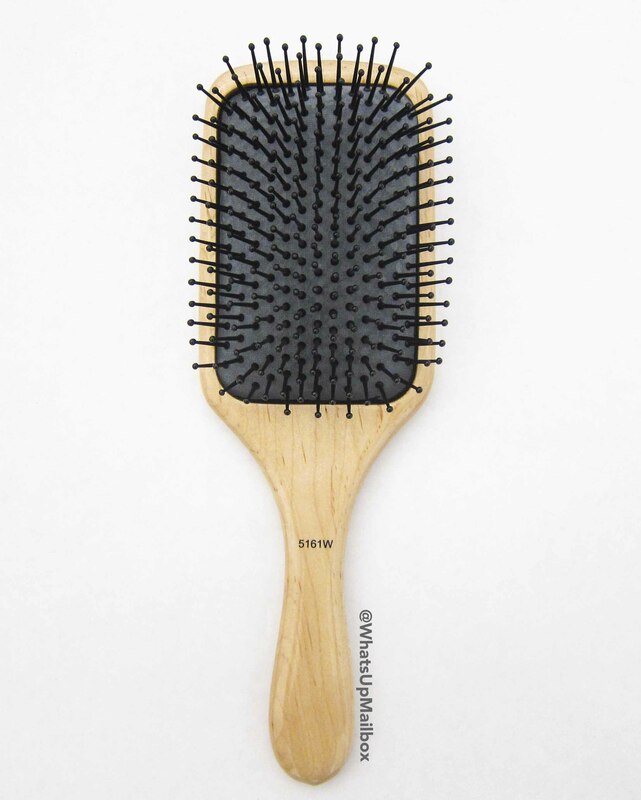 The bristles worked well in brushing my hair and I love the wood material on this, it just looks classy and quality. Subscribers received this in four different color variations. 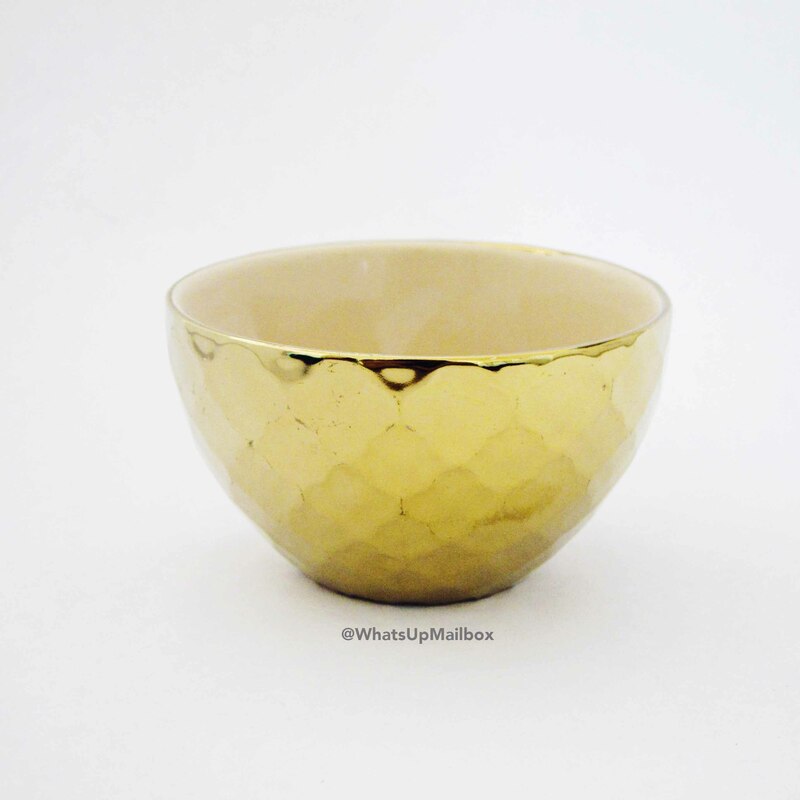 They are all gold, but with different colors for the inside. 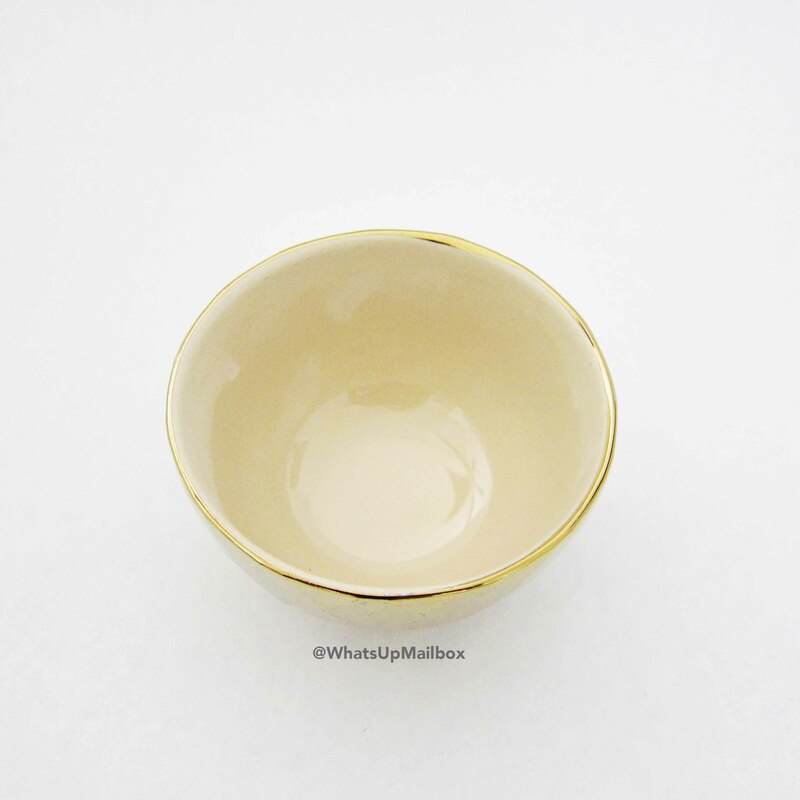 Mine has a light beige color I think, not really sure exactly, but I totally love it and this will go perfectly with my decor! I can never have enough makeup brushes, so I was totally happy to see this in the box! There’s no branding on it so I’m not sure what company it’s from, but the bristles are made of real brown goat hair and the shape is slightly angled. 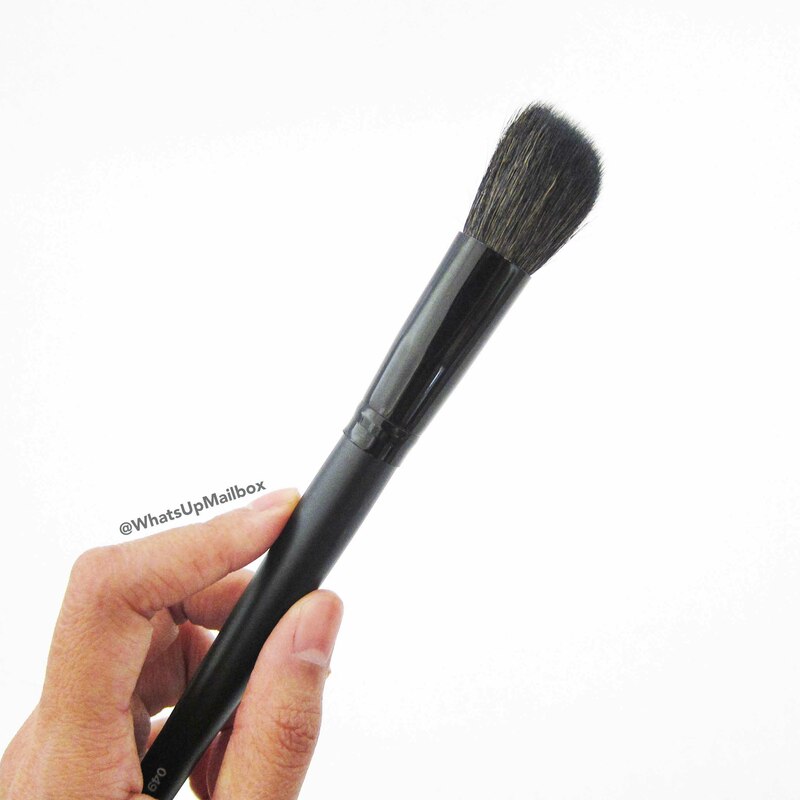 This brush will be perfect for contouring (bronzing or highlighting) or it can also be used with your blush. Subscribers received this in either Argain Oil, Macadamia, or Olive Oil. I totally love that I received Argain Oil, I already use this ingredient for my hair and love it so I know it’ll be a great shower gel. 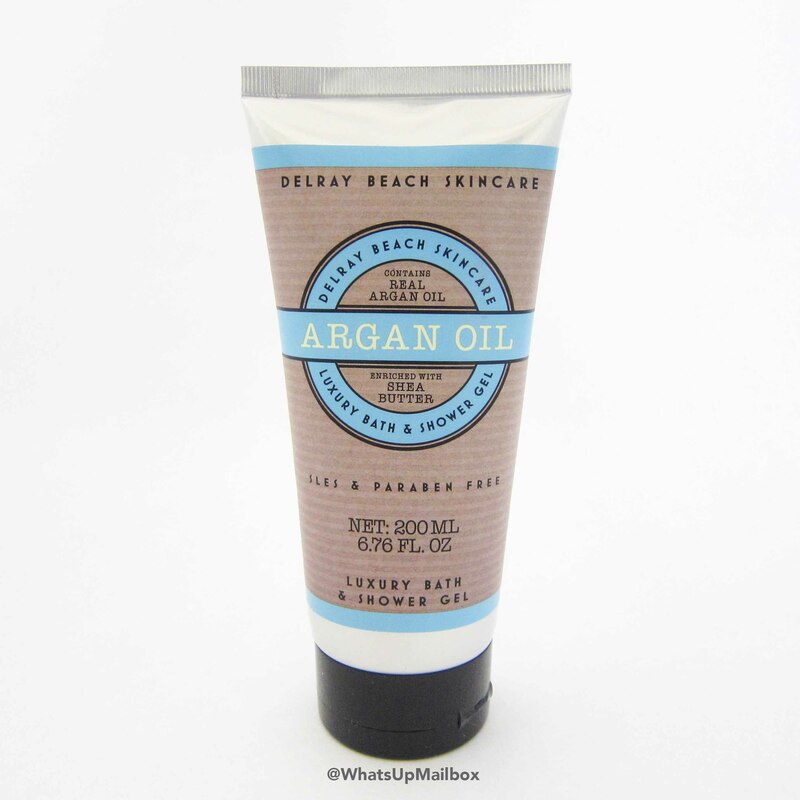 It’s made of natural ingredients, paraben free and never tested on animals. Plus the price is quite reasonable especially for the size you get, I may have to buy some more after this is gone! Well this spa themed box wouldn’t be complete without some sweet treats! Although mine got a bit disformed during shipment, most likely due to the heat here in California, but it wasn’t too bad and still tasted great! 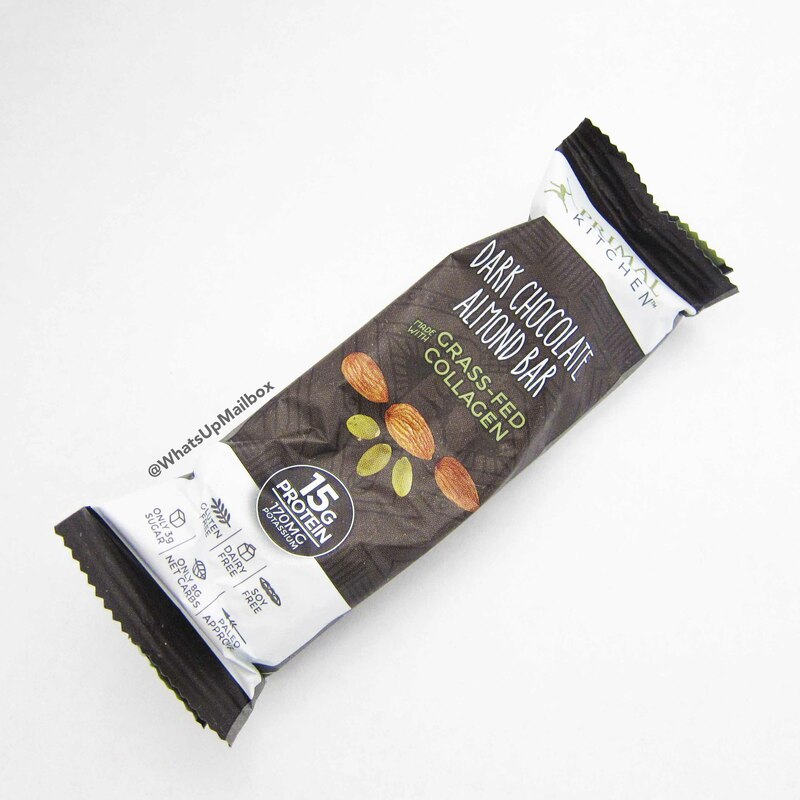 You can take these as a quick and healthy breakfast bar, or for a boost of energy prior to working out. They’ve included a Hello Fresh coupon that’s good for $50 off of your first 2 boxes. I’ve been getting these coupons a lot from various subscription boxes that I now have a lot and just give them out to friends since I don’t think I’ll be able to use them all. My Thoughts: I thought this month’s box was pretty awesome! 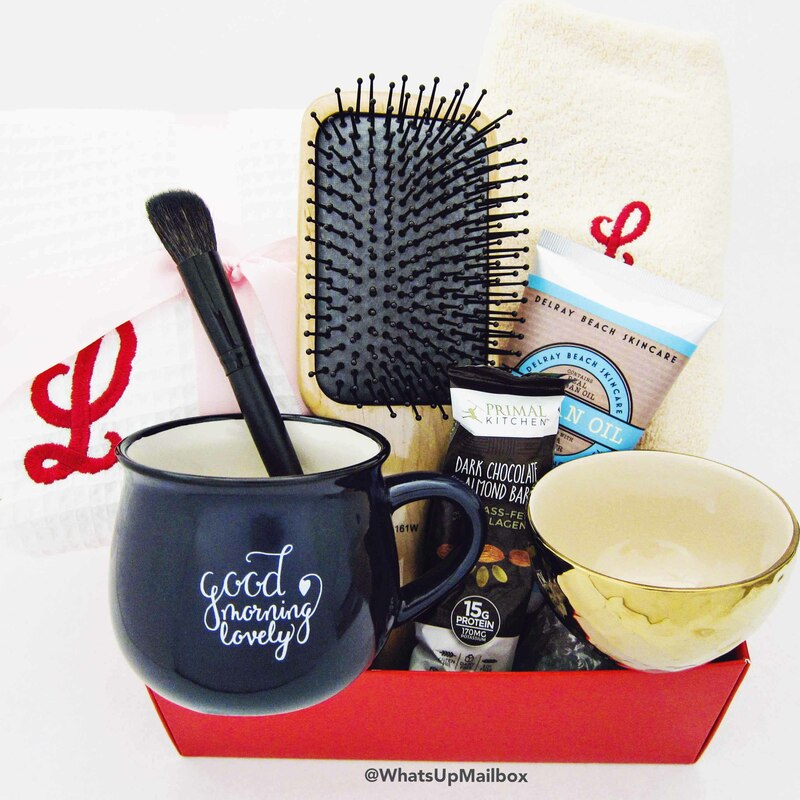 What girl doesn’t love a pampering and spa themed box, and LLB did such a great job in curating the items, it really felt like I received a gift box from a luxurious spa! 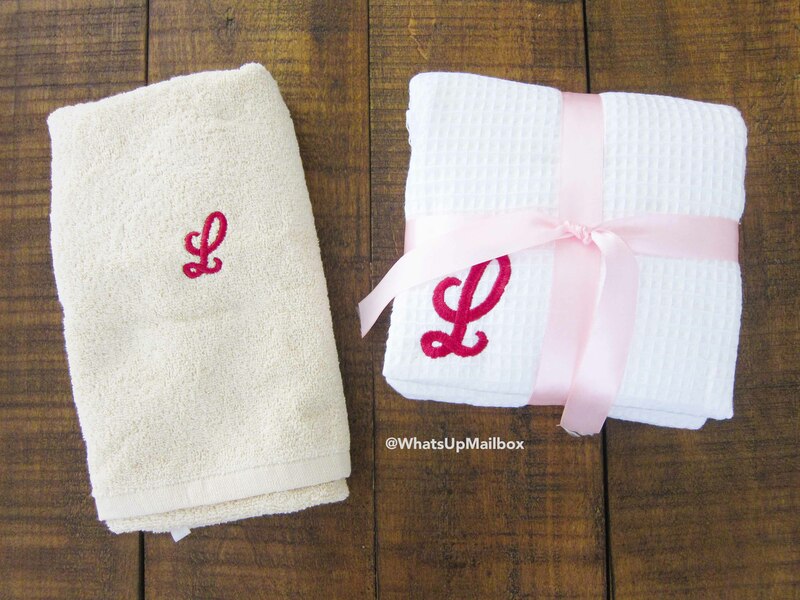 This box is also the start of their new personalized box curation and I am in love with my monogrammed towel and spa wrap. 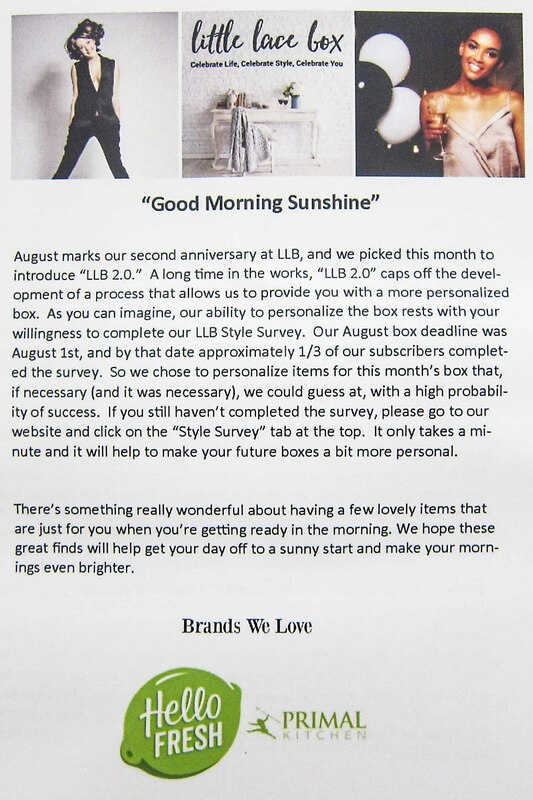 I can’t wait to see what they have in store in terms of personalization for their future boxes, this is so exciting! I’m glad LLB decided to go this route and so far I’m loving it. Their next box is the October box and will start shipping on October 20th. Not a subscriber? You can get $10 off your first box through this link, or receive more discounts with longer subscriptions.